No one gets the drop on you. You’re too smooth for them. You’re cunning mind is always just one step ahead of the crowd. You can escape from any sticky situation and you know just how to use your wits to get what you want. Perhaps, you can relate to the fox. Foxes are known as the sly devils of the animal kingdom. They’re tough to track down and they can hide in your backyard without you ever knowing that they’re there. Maybe, it’s time that you stopped hiding your fox-like tendencies. Maybe it’s time to go full-on fox this year! 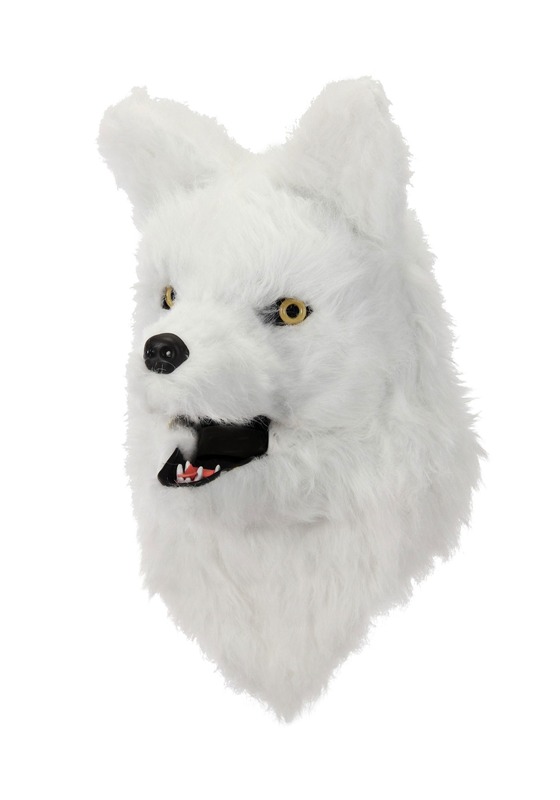 With this White Fox Mouth Mover Mask, you can be one with the fox! 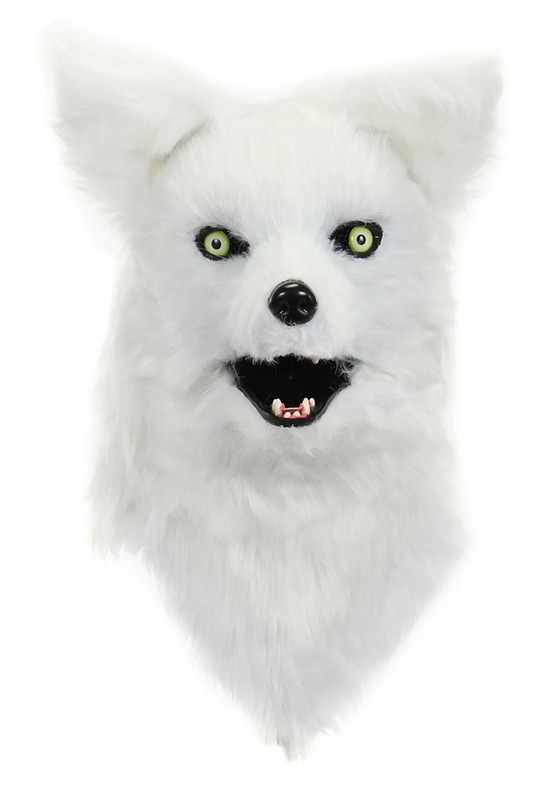 The stunning mask has an exterior covered in faux fur material, giving it a realistic look. 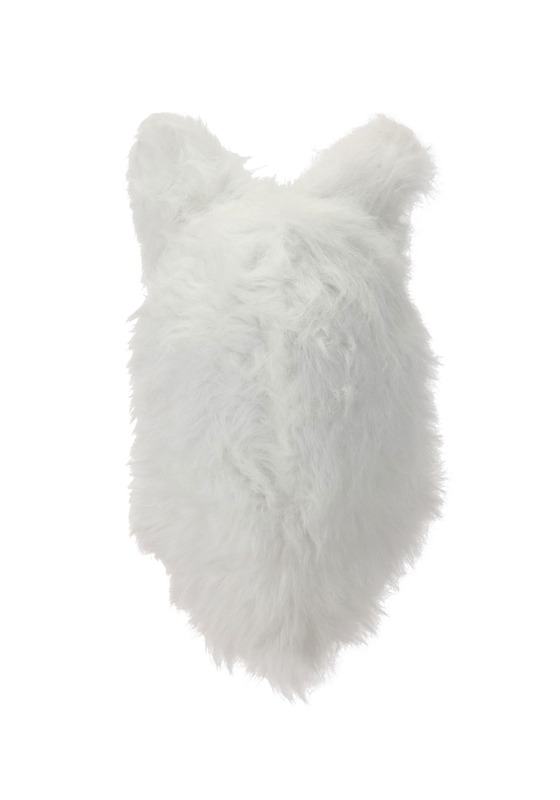 The mask covers the entire head and features plenty of foam padding on the interior for fitting and comfort. The mask even has a nifty surprise. Its design allows you to move the mouth of the mask, simply by moving your own jaw. It’s just one extra detail that gives it a realistic appeal. Just place this on your head and you’ll be feeling like the clever and cunning hunter that you are! 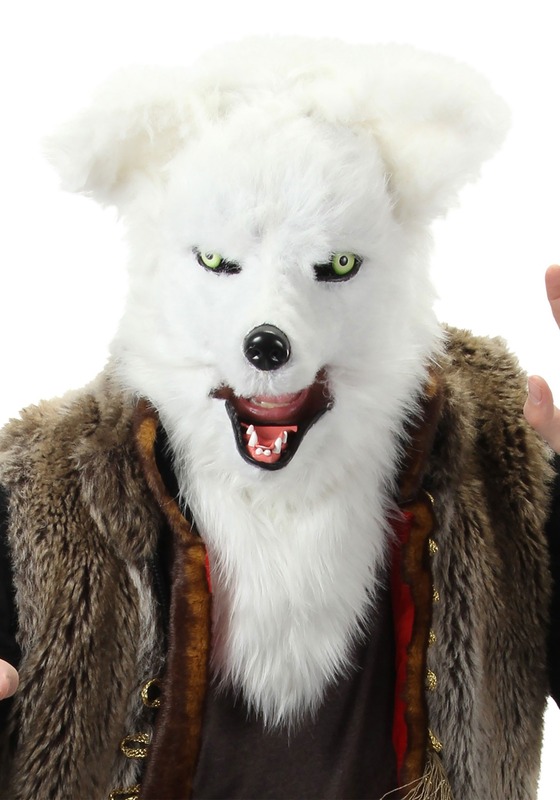 It also makes for a great werewolf style costume, or were-fox, if you will.